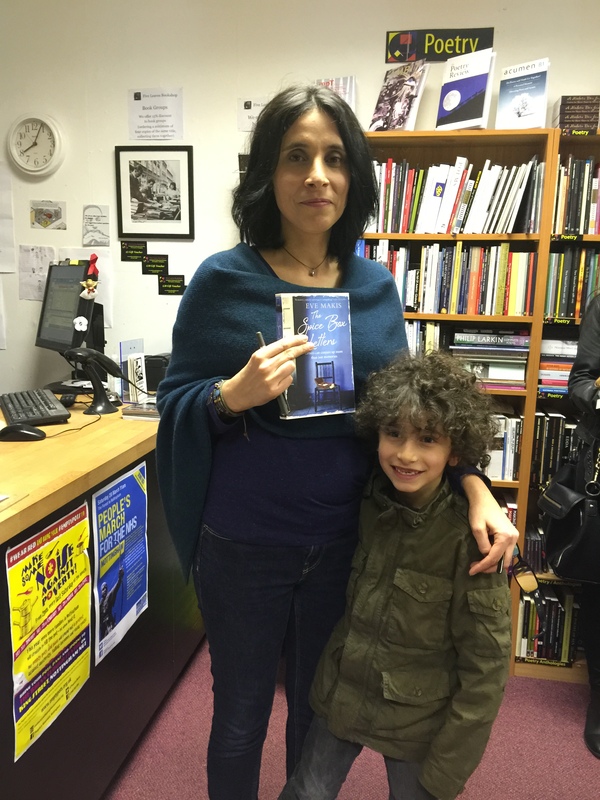 Five Leaves independent bookshop in the centre of Nottingham was the venue for the launch of Eve Makis’s new book The Spice Box Letters, a story set between the modern day and the Armenian Tragedy of 1915, when the Armenians were expelled from Turkey. This is the fourth book and a change in tone from her previous books, although still very much about families and relationships. Coming for a Greek Cypriot background, family is very important to Eve. They were at the launch to support her, as well as her mother and aunt providing the generous spread of food. This, Eve explained, she had to apologise for on her mother’s behalf because apparently it was considered to be nothing more than the equivalent of a packed lunch (read her previous books to grasp this cultural concept of keeping everyone fed). Eve talked about how the book had evolved, because it was such a departure from her previous novels. She felt it was time to show she was versatile, so began to write a book set in the Ukraine, because she had a Ukrainian friend and wanted to explore that culture. However after about 80 pages she lost her way. So she turned her attention back to Cyprus and made her character Armenian. Doing this meant she wanted to find out why they were there and why the Armenians were expelled from Turkey. Many were killed in Turkey while others were forced to march across the Syrian Desert to exile. Eve became fascinated by the research, discovering more and more stories, as well as interviewing survivors. But the sheer volume of material meant she initially became overwhelmed by it. The plot was in constant flux, as she wrote and rewrote it, changing points of view and experimenting with different ways into the story. Her constant problem was tone, because her natural bent is satire. 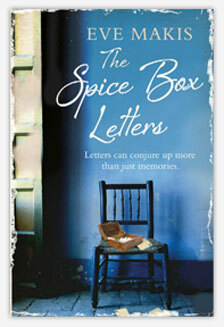 Her writing became overly reverent and sentimental, because she felt she had to handle the subject with great care. But it was just not working. Then two years into the writing process the story came to life with Gabriel, the elderly curmudgeon of the book, as his voice was very strong and possessed a dry wit that allowed Eve to tell the story in an unsentimental way. The discovery of Gabriel did not mean her problems were over, because Eve now felt compelled to write him and see the story through to the end. Eventually, frustrated with being told that the story would not work, Eve sent her writing to an old editor who had become an agent. She really liked the character of Gabriel. The book was a challenge for Eve in many ways because she was not writing a detailed historical novel. She wanted instead to capture the culture and the relationships within it. To do this she researched the period from every angle, taking details such as the food and folklore. This authenticity has been confirmed by an Armenian who Eve sent the book to and has said that it had the feel of being written by an Armenian. After a brief reading the audience was able to ask questions. She said it had been because she was used to family stories in far more intimate settings, so she lost her way for a while. Gabriel has definitely been the key to the writing process. His character seems to be that of a grumpy old man, but he has genuine reasons for anxiety and this is explained in the story. He is not happy that his granddaughter is marrying outside of the Armenian culture, because of the way the Armenian culture, including its language was wiped out. Marrying another Armenian would mean she could preserve the culture. Gabriel was discussed quite a bit because tone can be so difficult to achieve and Gabriel’s tone made sense of the rest of the book. His Granddaughter is merely a vehicle for telling the story because she had not been through the experience, but through her we find the bigger story. Because the book was not heavy historical fiction Eve preferred the characters to drive the story forward. Although she had not been to the area the research meant that she had been able to discover that there are some parts of Turkey that have changed little. But she did check to see that certain foods existed and how the place looked. This must had worked well because one of the audience commented that the sounds and smells woven into the writing made the book feel very filmic. Although there will not be a sequel, apparently Gabriel is still alive and well in her imagination.